PCE Ltd were appointed by Galliford Try Construction to design and build a structural hybrid frame for a seven storey hotel for Hilton Garden Inns at the Emirates Old Trafford ground in Manchester, home of Lancashire County Cricket Club. The completed hotel bedrooms become private hospitality suites during international test matches. 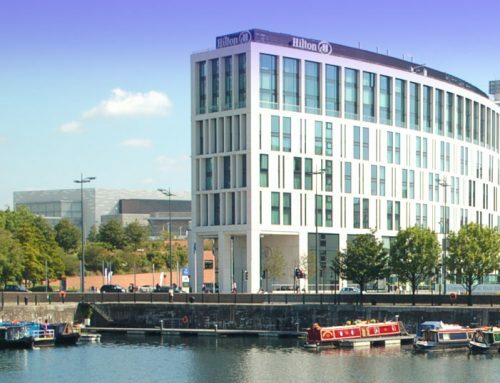 The hotel features two structural precast cores, which were the first to be designed and detailed by PCE and manufactured from a new adjustable core mould that PCE invested in as part of the expansion of the company’s offering, providing precast structural cores to the wider construction market. The structure also consists of precast concrete columns, beams, hollowcore flooring, internal cross walls, and external architectural finished precast walls. Cantilever balconies from level 2 to 5 are supported from 325mm deep x 1200mm wide slabs containing reinforced thermal breaks. 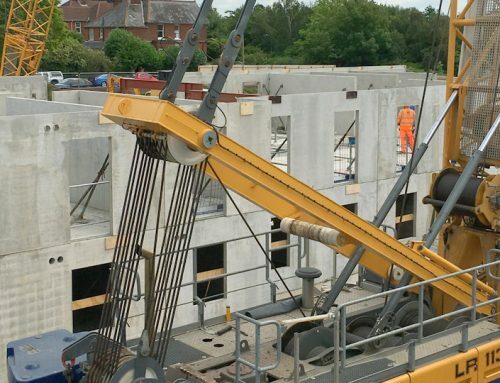 PCE are also responsible for the transfer deck at level 1 which are formed with 250mm thick hollowcore planks and a 100mm insitu structural topping. Delta Beams and other structural steel members are also incorporated into the transfer deck to distribute the significant loadings from the floors above to the supporting precast columns which come off piled foundations. PCE has designed the structure using precast concrete, structural steelwork and insitu concrete to ensure that all the benefits of their hybrid structures approach are fully realised. 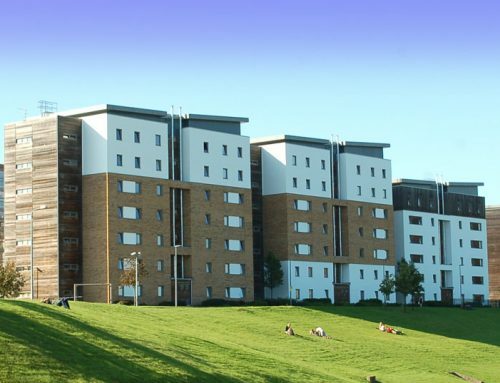 The Project was fully 3D modelled during the design process as part of PCE’s BIM system approach to ensure accuracy of fit on site and with no clash with other specialists contractor’s work packages. The PCE Design team includes design engineers, detailers, design co-ordinators, 3D developers and administrators who all help to ensure that all aspects of design that projects require, are expertly and competently accomplished in accordance with the PCE Quality System. PCE’s PreFastCore units that were used on the Emirates Old Trafford Hotel Project were designed and modelled in 3D prior to manufacture drawings being produced. The Hilton Gardens Inn is the latest addition to the Emirates Old Trafford. Founded in 1864 as a successor to Manchester Cricket Club, Lancashire County Cricket Club has played at Old Trafford since then and, in 1865, played their inaugural first-class match, beating Middlesex.